Japan’s worst nuclear radiation accident took place at a uranium reprocessing facility in Tokaimura, northeast of Tokyo, on 30 September 1999. The direct cause of the accident was cited as the depositing of a uranyl nitrate solution–containing about 16.6 kg of uranium, which exceeded the critical mass–into a precipitation tank. Three workers were exposed to extreme doses of radiation. Hiroshi Ouchi, one of these workers, was transferred to the University of Tokyo Hospital Emergency Room, three days after the accident. Dr. Maekawa and his staff initially thought that Ouchi looked relatively well for a person exposed to such radiation levels. He could talk, and only his right hand was a little swollen with redness. However, his condition gradually weakened as the radioactivity broke down the chromosomes in his cells. The doctors were at a loss as to what to do. There were very few precedents and proven medical treatments for the victims of radiation poisoning. Less than 20 nuclear accidents had occurred in the world to that point, and most of those happened 30 years ago. 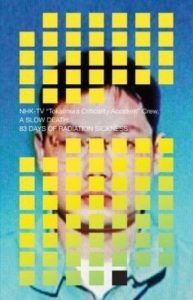 This book documents the following 83 days of treatment until his passing, with detailed descriptions and explanations of the radiation poisoning.